A little history of Paul Rutter Land Rovers*.. In 1959 Paul Rutter began work at the Rover Solihull factory, in the department responsible for the preparation and testing of vehicles loaned out to motoring journalists at the time, and for special events. Within two years Paul had moved on to the Engineering Department, becoming part of the Experimental team. He later, when the Competitions Department was formed, became assistant to the Competitions Manager. After Paul left the Rover Company in 1965 he started his own Land Rover* business. 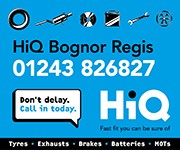 Specialising in servicing, repairs, restoration and sales of Land Rovers and Range Rovers. In 2013 A&D Group took over Paul Rutter Land Rovers, relocating it into its existing unit on Southern Cross Industrial Estate, Bognor Regis, West Sussex. Paul Rutter Land Rover is now the South Coasts leading independent Land Rover specialist, offering only the highest quality of service. Our mechanical engineers are highly skilled, experienced, courteous and genuinely caring – with a real passion for Land Rovers. We offer very competitive labour rates and, as we are independent, are able to supply genuine or OEM parts depending on your preference and budget. To save you the inconvenience of being without transport we are also able to provide you with a free courtesy car (subject to availability). When you bring your Land Rover to us you can be rest assured your vehicle is in the safest of hands. We are certain we will provide you with an exceptional service, but do not just take our word for it; head on over to our testimonials page and see what our regular customers say about us. They have recently driven away happy and we want you to do the same.